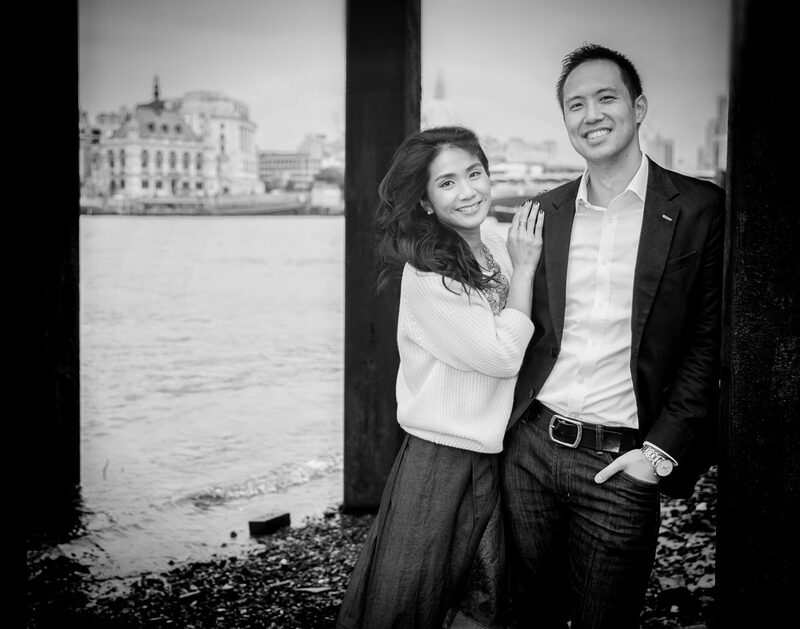 Barbara and Andrew have lived and loved in London for a while now, but have decided to emigrate to Canada and start a new life in Vancouver. 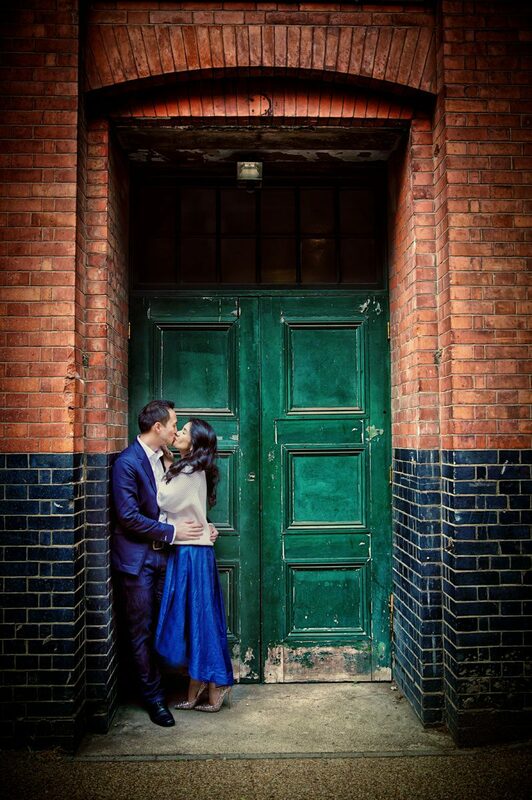 They wanted a romantic engagement shoot in the capital to celebrate their relationship, and to have a permanent set of photographic memories in places special to them to mark their time here. 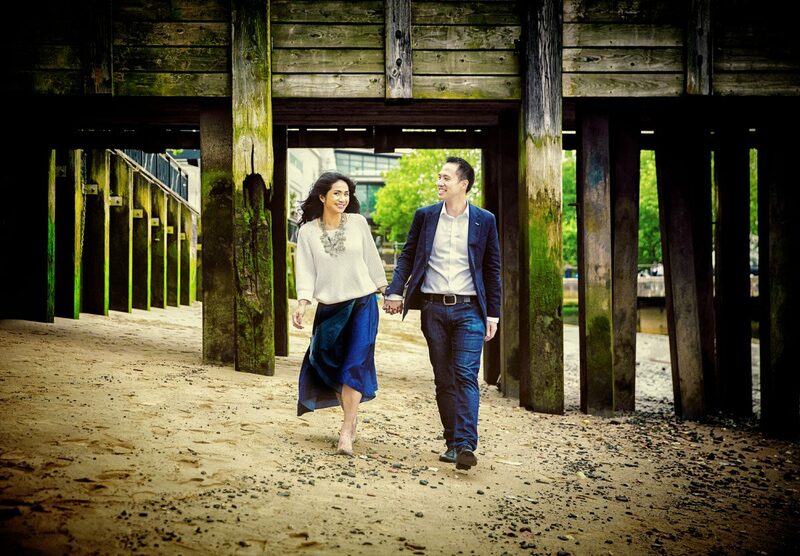 We met each other on a very windy afternoon by the Oxo Tower building on London’s Southbank. It’s an area we have taken the kids to many times on a Sunday, and also one we have a great deal of experience photographing in. 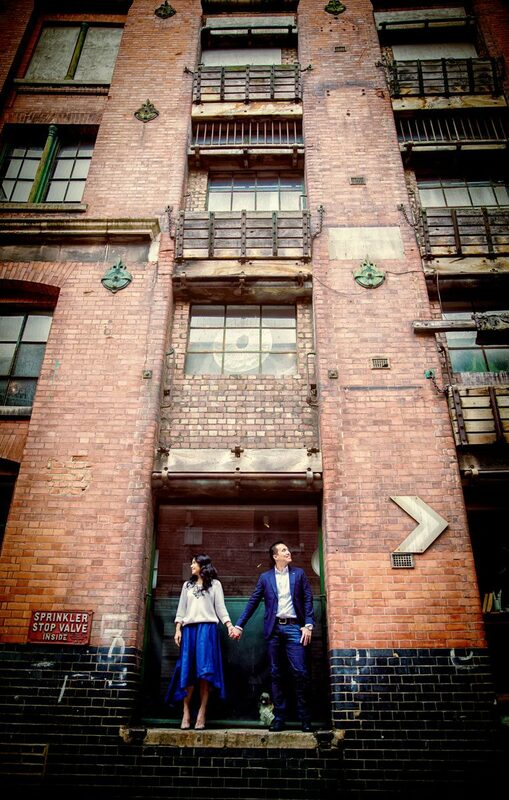 From weddings at the Oxo: Oxo Tower Wedding Photographers and St George’s Cathedral to many other engagement shoots in the area: Chinese Engagement shoot in Central London, Tower Bridge and Southbank and London Southbank Engagement Shoot to highlight just a couple. 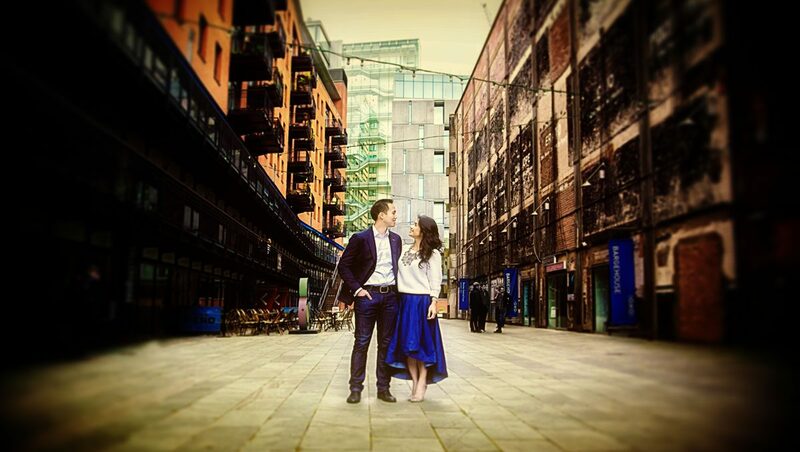 The Southbank is an area that has had a massive regeneration over recent years, from retail and artistic spaces to state of the art apartments. Yet it retains an urban almost shabby chic look that is visually very appealing. 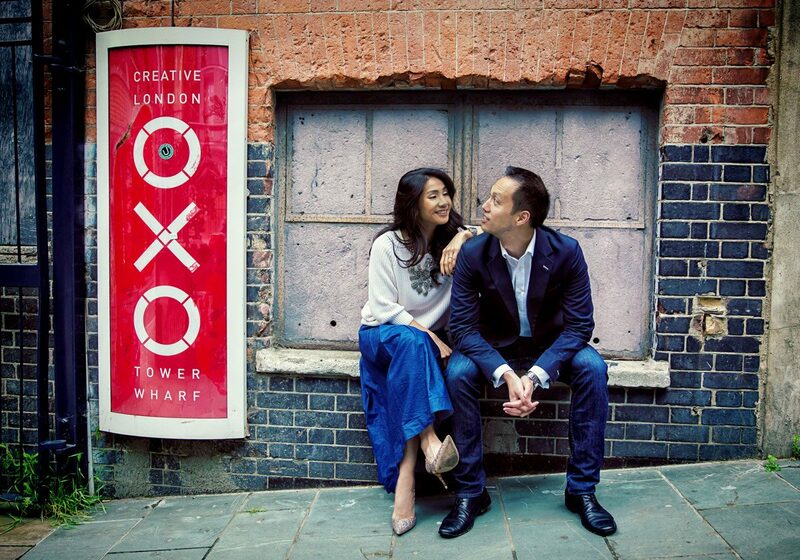 From the areas around Festival Hall to Gabriel’s Wharf and Oxo Tower, it has many quirky spaces. 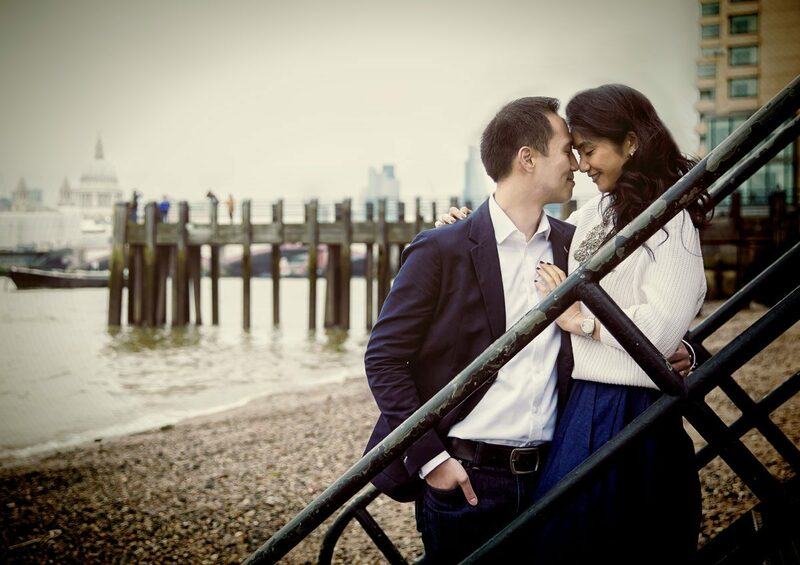 If we are lucky on an engagement shoot day and the tide goes out near the wharf, then we can shoot on the beach with St Paul’s and the London skyline behind us. As usual during this kind of photo experience we had a lovely relaxed and fun time, as this mirrors our own personalities, and we feel it is reflected in the imagery. 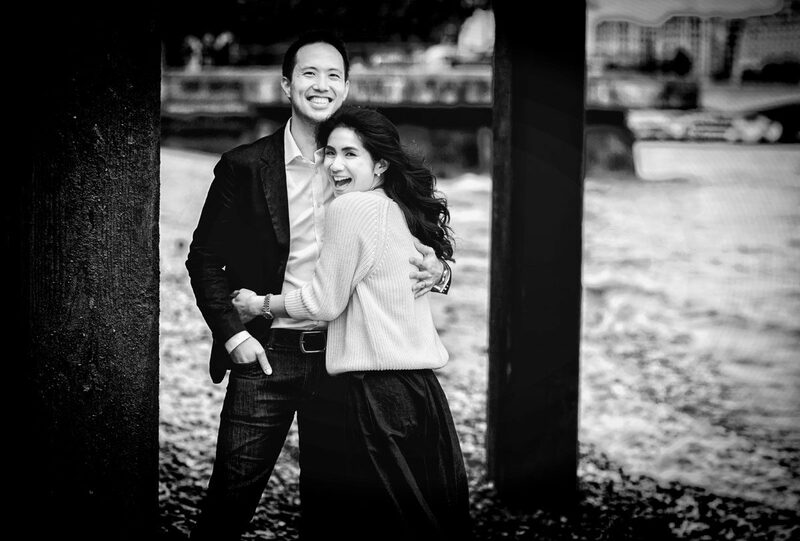 We wish Barbara and Andrew all the very best for their new life in Canada, and look forward to hearing their news in the future.